General Biographical Description: Dr. Devoe received his medical degree from the University of Chicago Pritzker School of Medicine in 1970, completed his residency in obstetrics and gynecology in 1976 and fellowship in maternal-fetal medicine in 1980 at the Chicago Lying-In Hospital. 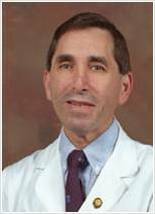 He was assistant professor in obstetrics and gynecology at the University of Chicago until 1983 when he joined the faculty at the Medical College of Georgia as associate professor. He served as director of maternal fetal medicine at MCG for 23 years and was professor and department chair for 11 years. He is currently a senior faculty member in obstetrics and gynecology at MCG. He has authored more than 200 professional publications and is the editor-in-chief of the Journal of Reproductive Medicine. He has also served as President of the Southern Perinatal Association, Georgia Perinatal Association, and the South Atlantic Association of Obstetricians and Gynecologists.